The 88th annual MLB All-Star Game was played on Tuesday, July 11. The American League won by the score of 2-1 in 10 innings. The Cardinals sent two players to the Summer Classic, Carlos Martinez and Yadier Molina. Both distinguished themselves in the game. Martinez pitched the third and fourth inning for the NL team. He was the only NL pitcher to pitch more than one inning. Martinez allowed only one hit, struck out four and walked one. Martinez was the first Cardinal pitcher to strike out four in an All-Star Game since Dizzy Dean did it in 1934. Molina was responsible for the sole NL run, a solo home in the sixth inning against Twins pitcher Ervin Santana. Molina also drew a leadoff walk in the ninth and was the potential winning run at third left stranded when the Mets’ Michael Conforto struck out. The Cardinals catcher was also involved in a colorful incident in the game, when Nelson Cruz came to bat in the sixth inning and asked Molina to take a picture of Cruz posing with home plate umpire Joe West. Molina complied. In June, West had become the third umpire to be in 5,000 games, and this apparently motivated Cruz to want to pose for a picture with him. Molina also garnered attention by wearing a shiny gold mask and breast protector behind the plate, leading him to be compared to C-3PO of Star Wars fame. Several members of the media dubbed Molina the unofficial MVP of the All-Star Game, despite the NL’s loss. The Cardinals took the lead early, but lost late in walk off fashion in Pittsburgh. Starter Mike Leake tossed five innings, giving up two runs on seven hits. The right hander walked five, uncharacteristic for Leake and struck out three. Matt Bowman, Brett Cecil, and Trevor Rosenthal each pitched a scoreless inning of relief. Seung-Hwan Oh pitched the ninth, and gave up a three-run walk off home run to Josh Bell. Oh took the loss, his fifth. The Cardinals offense scored in the first inning on a two-run home run by Jedd Gyorko. The only Cardinal with multiple hits was Tommy Pham, who was 2-for-4. Pham also stole his 12th base of the season. Yadier Molina picked Gregory Polanco off third base. It was the second time Molina caught a runner napping at third base this season. The Cardinals shut out the Pirates in the second game of the three game series. The top of the lineup did most of the damage offensively. Matt Carpenter was 2-for-4 with an RBI, on a single in the fifth. Tommy Pham was 3-for-4 and drove in a run on a fifth inning double. Cleanup hitter Jedd Gyorko plated the first St. Louis run on a single in the fourth. Starting pitcher Lance Lynn, now batting left handed, drove in the other Cardinals run, also on a fifth inning double. Lynn pitched 6 1/3 scoreless innings, allowing eight hits while fanning three and walking none, to earn his eighth win of the season. Matt Bowman, Trevor Rosenthal, and Tyler Lyons combined for the remaining 2 2/3 scoreless innings. Carpenter stole his second base of the season and also committed his ninth defensive error of the season, a throwing error. The Cardinals lost the rubber game of the road series, again in a walk off. Magneuris Sierra, just called up again to replace the injured Stephen Piscotty, had a 4-for-4 game with a stolen base. Matt Carpenter, who was 2-for-5, hit an RBI double in the fifth inning to plate the first Redbirds run. Carlos Martinez, helping himself at the plate, drove in a run on a sixth inning line drive single. Yadier Molina put the Cardinals ahead in the eighth with a solo home run. Dexter Fowler and Kolten Wong were both 2-for-4. Starter Martinez pitched seven innings, giving up two runs on five hits. The right hander struck out five and walked one. Trevor Rosenthal pitched a scoreless eighth. Brett Cecil gave up the walk off Pirates run in the ninth and took the loss, his third. The Cardinals have played three games since the All-Star break and went 1-2, with both losses being walkoffs. It is too small of a sample size to conclude that the bullpen is backsliding, but the next week or so of games will tell. The Cardinals play the Mets in the next series. The Cardinals won two of three from the Mets before the break, but the New York team has home field advantage in this series. Following the Mets, the Cardinals play the Cubs in Wrigley. This series should be informative of how the Cardinals might perform in the second half. The Cardinals are now in third place in the NL Central, 6.5 games back of the Brewers, and 2 games back of the Cubs. Tommy Pham is batting .727 with an OPS of 1.909. He has 1 HR, 2 doubles, and 3 RBI. Matt Carpenter is batting .364 with an OPS of .871. He has 1 double and 1 RBI. Brett Cecil has an ERA of 0.00 and a WHIP of 0.82. Lance Lynn has an ERA of 0.00 and a WHIP of 0.90. Stephen Piscotty is batting .000 with an OPS of .125. Yadier Molina is batting .182 with an OPS of .364. Dexter Fowler is batting .167 with an OPS of .333. Seung-Hwan Oh has an ERA of 81.00 and a WHIP of 9.00. The number 6 hitter has been Stephen Piscotty for two games and Luke Voit for one game. The number 7 hitter has been Luke Voit for one game, Kolten Wong for one game, and Paul DeJong for one game. The number 8 hitter has been DeJong for two games, and Jose Martinez for one game. Nick Cafardo of the Boston Globe reports that the Cardinals are rumored to be one of three favorites to trade for Tigers outfielder J.D. Martinez. Martinez is a free agent at the end of the season, so he would only be a rental for the Cardinals unless a contract extension could be negotiated. 7/10 The Cardinals activated 2B Kolten Wong from the 10 day disabled list. 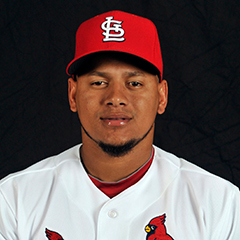 7/10 The Cardinals optioned SS Alex Mejia to the Memphis Redbirds. 7/10 The Cardinals optioned RHP Luke Weaver to the Memphis Redbirds. 7/10 The Cardinals traded OF Todd Cunningham to the Los Angeles Dodgers for cash considerations. 7/13 The Cardinals activated LHP Kevin Siegrist from the 10 day disabled list. 7/14 The Cardinals placed OF Randal Grichuk on the 10 day disabled list. 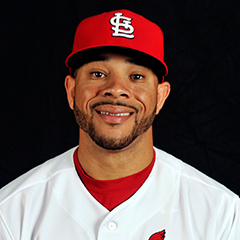 7/14 The Cardinals recalled OF Jose Martinez from the Memphis Redbirds. 7/15 The Cardinals placed OF Stephen Piscotty on the 10 day disabled list. 7/15 The Cardinals recalled OF Magneuris Sierra from the Springfield Cardinals. OF Randal Grichuk went on the 10 day disabled list with a lower back strain retroactive to July 10. It is expected that Grichuk will return to the roster when he is first eligible, which would be on July 20. OF Stephen Piscotty suffered a right groin strain in Pittsburgh on Friday. He was placed on the 10 day DL the next day. No timetable for Piscotty’s return has been announced, though the injury is not thought to be serious. LHP Zach Duke continues his rehab from Tommy John surgery. Duke was assigned to Memphis for his latest rehab assignment on July 7. Duke’s expected return is perhaps by the end of July. The Cardinals travel to New York to take on the Mets in a four game series beginning Monday. Adam Wainwright will make the Monday start. Michael Wacha is scheduled to make the start on Tuesday followed by Mike Leake and Lance Lynn. Following the Mets, the Cardinals take on the Cubs in a weekend set in Chicago. The Cardinals then travel back to St. Louis to begin a three game series at home against the Rockies on Monday, July 27. The Diamondbacks come to St. Louis on Thursday for a four game series at Busch Stadium. The Cardinals have an off day on the Monday following that series, then travel to Milwaukee to take on the Brewers in a three game series. The All-Star Game was played this past week, on Tuesday, July 11 in Miami. The Cardinals had two representatives there, Carlos Martinez and Yadier Molina. Last week, before the game was played, I wrote about the history of the All-Star Game and the Cardinals participation in it. Now that the game has passed, I want to focus on the All-Star Game again with respect to the performance of one of its representatives, Carlos Martinez. Martinez was the third pitcher to pitch for the NL in the game, and the only NL pitcher to pitch multiple innings. Martinez pitched innings three and four. In addition to being the only pitcher to pitch more than one inning, he also had a distinction specific only to the Cardinals. That distinction is that he is the first Cardinal pitcher to strike out four hitters in the All-Star Game since Dizzy Dean did it in the 1934 All-Star Game. The only difference is that Dean struck out four hitters in three innings, as opposed to Martinez’ two innings. 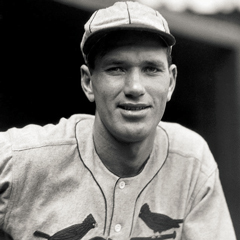 Dizzy Dean played the first seven years of his big league career with St. Louis. During those seven seasons, Dean led the league in multiple categories several times over, including wins, innings pitched, and strikeouts. He was the last National League pitcher to win 30 games in a season. Dean was a four time All Star with the Cardinals and was voted MVP in 1934. Dean was the ace pitcher of the famous “Gas House Gang” of the 1930s. His brother Paul was also on the team. Dizzy was traded to the Cubs in 1938 where he played for four seasons. Dean made a brief comeback with the St. Louis Browns in 1946, but pitched only four innings. Dizzy Dean was elected to the Hall of Fame in 1953. He spent much of his post playing career as a broadcaster, leaving that career in the late 1960s. Dean died on July 17, 1974 of a heart attack in Reno, Nevada. Carlos Martinez has much left to do in his career to approach what Dean accomplished, yet being compared to Dean for this singular factoid is a complement indeed.